This is Gus our "Super Dog". Gus is our 2 1/2 year old Chocolate Lab that weighs a mere 107 lbs. He is a very loyal and loving companion. 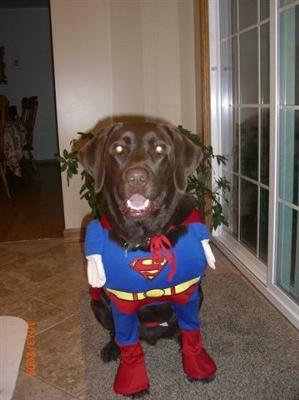 Here he is all ready for Halloween in his new "Super Man" costume.